As a kid, it felt like I spent every day begging for sweets and candy for breakfast, and as an adult who works from home, avoiding my secret stash of “good” chocolate in the mornings in favor of oatmeal is a daily struggle. 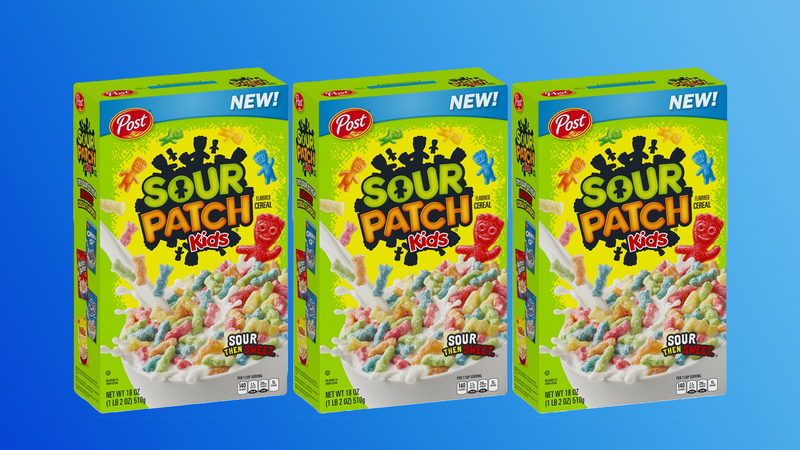 Well, there’s a new way for us all, ages 1 to 100, to get our candy fix first thing in the morning: Sour Patch Kids cereal. According to Delish, starting Dec. 26, you’ll be able to buy a box of the stuff for about $4 at Walmart before it’s released to other major retailers later in 2019. What better way to beat the post-Christmas blues than by munching on what’s essentially a bowl of carby candy the day after you open presents? The cereal has a sour coating that dissolves as you eat followed by a sweet interior, so it basically tastes exactly like the candy. The only thing that gives me pause is adding milk — sour and milk aren’t two things that usually go together, and the thought of that flavor combo first thing in the morning might be a little trying. It could be delicious in things like marshmallow cereal treats though! You can head to Walmart to pick up a box on Dec. 26, and in the meantime? We won’t tell if you start adding a Sour Patch Kid or two to your morning oatmeal. You’re an adult. Live a little!